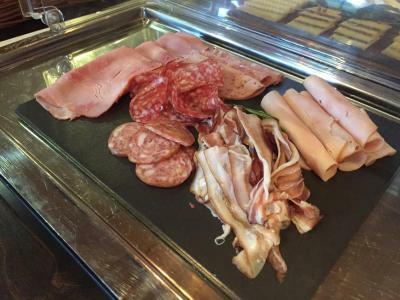 Lock in a great price for Ziegelhüsi Gastronomie & Hotel – rated 8 by recent guests! I stayed one night at this little hotel. It is good to know that it is a 15 minute train ride to Bern but trains run frequently and it is a quick 3 minute walk to the hotel. 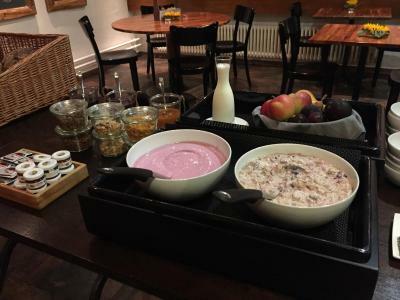 The staff is welcoming and the breakfast was quality as the hotel is also a restaurant. This is a very clean and safe hotel for solo travelers with excellent staff and a good value. My single room included a bathroom. This property is in a suburban location with a short walk to a train stop that takes you to downtown Bern. It is a small venue and more like a self-service hotel with no staff on the property most of the time. Parking is free and convenient just next door. The rooms are small and modern. The bath was fairly small with a small shower. Breakfast was included and nicely presented. Peaceful location, handily placed near a small train station for travel into Bern. The staff were extremely friendly and accomodating. Excellent service! 1) Logic of the night door key 2) Friendliness of the check-in staff and the tipps how to get to town (parking in Bern costs a bomb and the traffic isn't easy at all, even with a navigator and you can read fast and are very awake and watch your speed like a hawk (cameras everywhere, just waiting to cash in). 3) Ease of access to town by public transport - very recommendable. 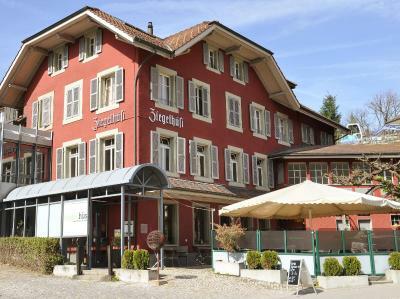 One of our top picks in Bern.The Ziegelhüsi Gastronomie & Hotel enjoys an easily accessible location on the main road in Stettlen, 350 feet from the Deisswil train and bus station, and 3.1 mi east of the center of Bern. It offers free parking and free WiFi. All rooms in the Ziegelhüsi Hotel were newly renovated in 2013 and feature an private bathroom and a TV. The restaurants Brasserie and Gewölbekeller are famous for their fresh, seasonal cuisine and feature a charming summer terrace. The restaurants are open from Tuesday to Saturday. 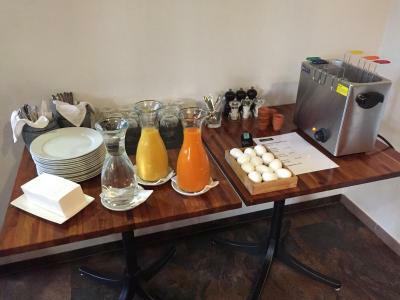 Guests can enjoy a continental breakfast. The center of Bern can be reached in a 15-minute train ride. When would you like to stay at Ziegelhüsi Gastronomie & Hotel? Small single room with free WiFi, a flat-screen TV and a private bathroom with rain shower. Single room with free WiFi, a flat-screen TV and a private bathroom with rain shower. Single room in the quiet side of the building with free WiFi, a flat-screen TV and a private bathroom with rain shower. Twin room with free WiFi, a flat-screen TV and a private bathroom with rain shower. Twin room in the quiet side of the building with free WiFi, a flat-screen TV and a private bathroom with rain shower. House Rules Ziegelhüsi Gastronomie & Hotel takes special requests – add in the next step! Ziegelhüsi Gastronomie &amp; Hotel accepts these cards and reserves the right to temporarily hold an amount prior to arrival. Ziegelhüsi Gastronomie & Hotel accepts these cards and reserves the right to temporarily hold an amount prior to arrival. Please note that reception is closed on Sundays and Mondays. Please inform the property in advance about your arrival time so that they can provide you with the pin code for the key deposit box. The sound of the traffic in front of the hotel is really annoying. I won't book this hotel again. The bed was ok and the breakfast was good. Tasty Breakfast... Very good Birchermusli. The kitchen , the restaurant was exceptional. The room was very hot with no aircon. The bar (entire hotel actually) was in darkness when I returned at night, you are given a front door key. I wasn't provided with a Bern public transport card. Switzerland is expensive for us English. Bar closes very early as does the front door . As Switzerland was having a "heat wave" at the time of our visit it would have been good if there were portable fans available in the rooms. It was extremely hot and difficult to sleep as there is no air-conditioning.